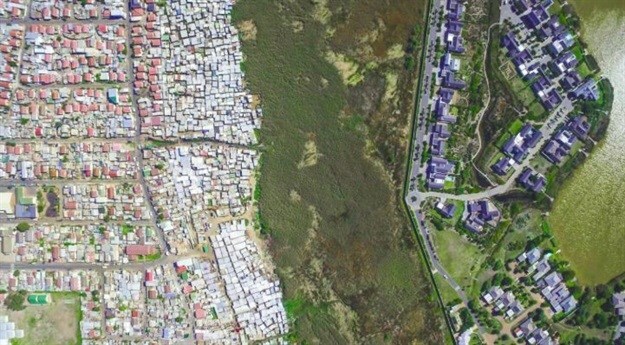 2019 will usher in a quarter of a century since South Africa has been addressing post-apartheid challenges. Many of the current challenges within the real estate domain continue to predominantly revolve around land ownership, spatial planning and transformation within the wider industry context. That being said, South Africa has made remarkable progress in the early years of democracy, given the limited resources at its disposal. The second decade after democracy has been somewhat challenging with South Africa feeling the effects of the 2008 global downturn in the wake of the sub-prime crisis. Furthermore, the 20th anniversary of electoral democracy carried with it state capture and knock-on ratings downgrades. All these challenges have contributed significantly to less capital being available for development in the country. In 2018, the severity of the impact of these challenges has been evident with many industry players taking on more market risk than they would normally do. We have witnessed this particularly in the contracting and consulting environments. But fast forward to the future and we at Turner & Townsend believe there will be an exponential shift in many areas of real estate within the country. In a recent roundtable discussion that was hosted by Turner & Townsend to discuss disruptors in the global real estate market, our guests – both public and private sector, discussed South Africa’s ability to adapt to the changing real estate landscape and new, global real estate trends. General consensus was that we will no doubt continue to face challenges post the 2019 elections, but that the period 2020 to 2030 will bring changes and stakeholders within the sector need to start considering measures that can be implemented in the short-to-medium-term to encourage the development process and thereby attract more capital from global investors, private equity and pension fund investors. We know of a number of neighbouring countries in Africa that have sought to speed up the developmental process by implementing streamlined processes for review and approval of new developments. Particular emphasis has been placed on environmental and rezoning processes. However, currently in South Africa, these processes, together, can stretch the better part of four to five years and longer if the courts are involved. During this time, markets could change and returns from other asset classes start to look more attractive as market volatility begins to smooth out over time. One major change happening across the globe is that of the role which real estate assets will play in the eyes of its owners and their clients. Turner & Townsend predicts significant changes to the real estate delivery model within the next three to five years both locally and globally. Global influencers into the local market will lead the way as Airbnb has – bringing a tectonic shift to the hospitality industry in just a decade. Global company WeWork is not far behind, having started up eight years ago in New York, it now has 930,000m2 of office space globally. Acting as a club rather than a letting agency, it provides shared workspaces for businesses of all types and is changing the way companies think about office space. We are already seeing a fast pace of change in the way new offices are being configured and future-proofed as international corporates enter South Africa. This is somewhat surprising as traditionally the real estate industry has been resistant to change, but the accelerated adoption of digital approaches to design and construction has been rapid, and new benchmarks for best-in-class commercial real estate assets are being set. These new benchmarks require the formation of new relationships and deeper levels of collaboration with suppliers and consultants to get the best results. Vendor capabilities are developing and there is a greater realisation that risk in the development of real estate assets needs to be shared with those that can best manage the risk. We predict more integration both horizontally and vertically within the real estate delivery model, with a focus shifting towards understanding the whole-life of assets. In contrast to South Africa, the impact of ICT enhancements on many other African countries will be vastly different. The impact of these dynamic connectors will lead to accelerated development of mortgage markets in many African countries, spurring on housing projects and supporting land uses - specifically, retail, health and education. South African real estate industry players will need to plan and adapt their businesses accordingly to avoid becoming obsolete in this fast paced period of change. The predicted benefits look to be worthwhile and could result in huge savings in annual operating costs, reduced project delivery periods and vastly reduced carbon emissions. The question is can Africa afford to miss out? 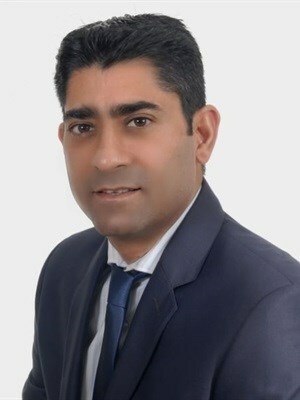 Ziyad Adroos is head of real estate: Africa at Turner & Townsend. Over the last 25 years he has held the following positions: director - properties at Bigen Africa; vice president - corporate real estate at Barclays Africa; and director - properties at Group Five. Adroos is a member of the Association of South African Quantity Surveyors and the Royal Institute of Chartered Surveyors, and holds degrees in quantity surveying, economics and business economics, and industry-related diplomas in arbitration, and risk and compliance.